Robert Trent Jones, Sr.’s golf course architecture career spanned nearly 70 years. Jones built or rebuilt nearly 400 courses in 45 states in the U.S. and 35 countries worldwide, with more than three dozen of them having played host to national or international championships. Jones’ most famous designs include: Peachtree Golf Club, Spyglass Hill Golf Course, Firestone Country Club (South Course) and Mauna Kea. 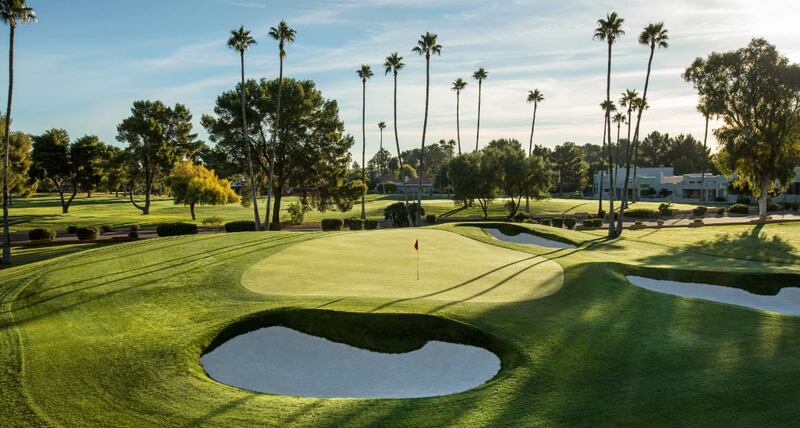 The Wigwam’s Gold Course opened in 1965, six years after Firestone Country Club’s famed South Course. Jones Sr. designed the Gold Course to be the West Coast rival of Firestone South. 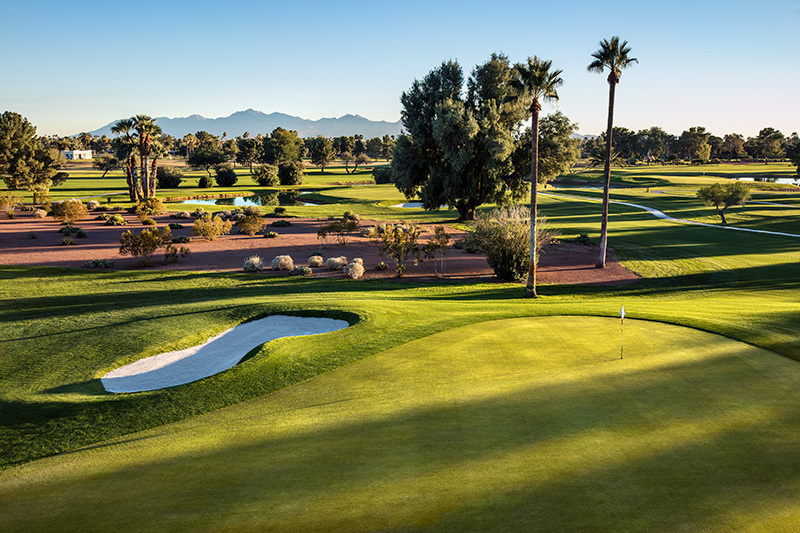 Rival or peer, the two courses share many traits in common – both courses measure more than 7,300+ yards from the tips, both include a series of long par-4’s and epic par-5’s, both feature small elevated greens and both courses have been recognized among Jones Sr.’s finest designs. During the summer of 2015, the Gold Course underwent an extensive golf course renovation. 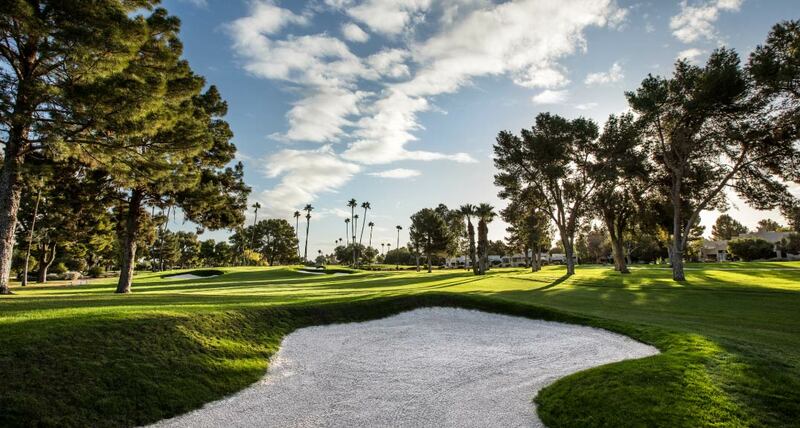 Lead by former British Open champion and PGA TOUR veteran Tom Lehman, in collaboration with The Wigwam’s ownership group JDM Partners, the renovation work focused on modernizing the bunkering and layout of the 50-year-old course while still keeping Robert Trent Jones Sr.’s original strategic-intent in place. During the renovation process the Lehman Design Group eliminated 30 bunkers and relocated and reshaped numerous others. Bunkers are now more strategically placed for today’s game, while fairway/target lines now move left and right off the tee, thus eliminating the straight “bowling-alley feel” the course once had. In addition, all bunkers now have the classic sod-down design, in which grass flows over the bunker’s face, and are filled with beautiful white sand. All 18 of Trent Jones Sr.’s signature greens were left untouched during the renovation project. With the 2015 renovation, the Gold Course once again stands among the nation’s finest as the polish is back on a classic Robert Trent Jones Sr. design.